2014: The Year to Read! Happy New Year! Are you resolving to read more in 2014? Learn more? Explore new fields? Cambridge University Press can help! Check out a few of the exciting new titles we're looking forward to this year—delving into everything from criminal justice to American literature to Einstein. The Punisher’s Brain is a groundbreaking new look at criminal justice through the lens of cognitive evolution. The author, a sitting judge for the Second Judicial District of Colorado, explores how our concepts of punishment and modern penal systems are rooted in our social evolution. With an eye on the Middle East, Toppling Qaddafi contemplates the future of military intervention in a post-Iraq, post-Afghanistan world by examining the role of the U.S. and its European allies in Libya’s 2011 war of liberation. Including interviews from top officials in the U.S. government, Christopher Chivvis, a senior political scientist at the RAND Corporation, offers insight about what happened in Libya and and whether this kind of intervention should be repeated. I Freed Myself tells the little-known story of how African American slaves in the Civil War era were instrumental in achieving their own freedom. Presenting a neglected narrative in African American emancipation, this book sheds light on the agency of black slaves. 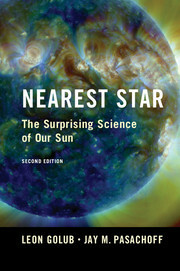 For the amateur astronomers, Nearest Star is a friendly and compelling guide to the science of our Sun, while The New Moon offers the complete story of the human lunar experience, including rare Apollo-era images and questions about when and how we will return to the Moon. 2014 marks the centennial year of World War I, and you can catch up on the history of the Great War with titles like The July Crisis and The Outbreak of the First World War. This winter, Cambridge also honors the memory of the late South African leader with The Cambridge Companion to Nelson Mandela.